At its meeting on 20 June, David Green of Green Pepper, facilitated a session on “How to raise your profile through social media”. Attended by Derby Carers Association. Salcare, Kirkby Rotary Club, Kirkby Rotary Club, WEA, Visual Arts & Design, Sight Support Derbyshire, Central England Co-operatives Society Southern Membership & Community Council, Derbyshire County Council Adult Care, CASE Leicester, Central England Co-operative Society plus members of CEM. This workshop highlighted the need for ongoing and refresh training about social media and its uses. In order to establish firmer joint working between the Regional Co-op Councils of East Midlands, Co-operatives East and Co-operatives West Midlands, a meeting was held in Leicester to draw out priority areas that could support the work being done by these Councils and look at ways of putting out a clear message to the different regions. This would enable a sharing of resources and expertise. The event was well attended with over 40 attending, including the Co-operative College Principal, Co-operatives UK, the Co-operative Group Head of Co-operative Relations, the Co-op Foundation Charity and stakeholders interested in furthering this objective. Views were captured on flipcharts and were discussed at the November meeting of CEM with an action plan being agreed. Current Twitter following is 1873 following, 1032 followers. 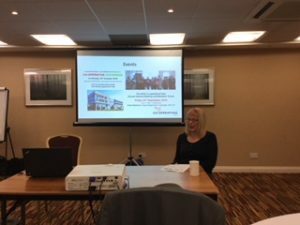 CEM set up of a new website and subsequent updating/support has been provided by deVilliers Communications in tandem with Jenny in her role as Secretary/Treasurer. 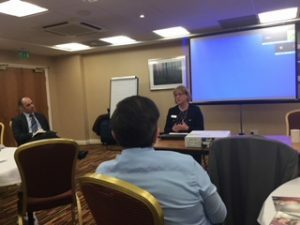 A review of the Constitution of CEM was discussed on 8 November following some initial research by Jane Powell on the best form of legal entity for Co-operatives East Midlands going forward. Options will be discussed in January 2019. 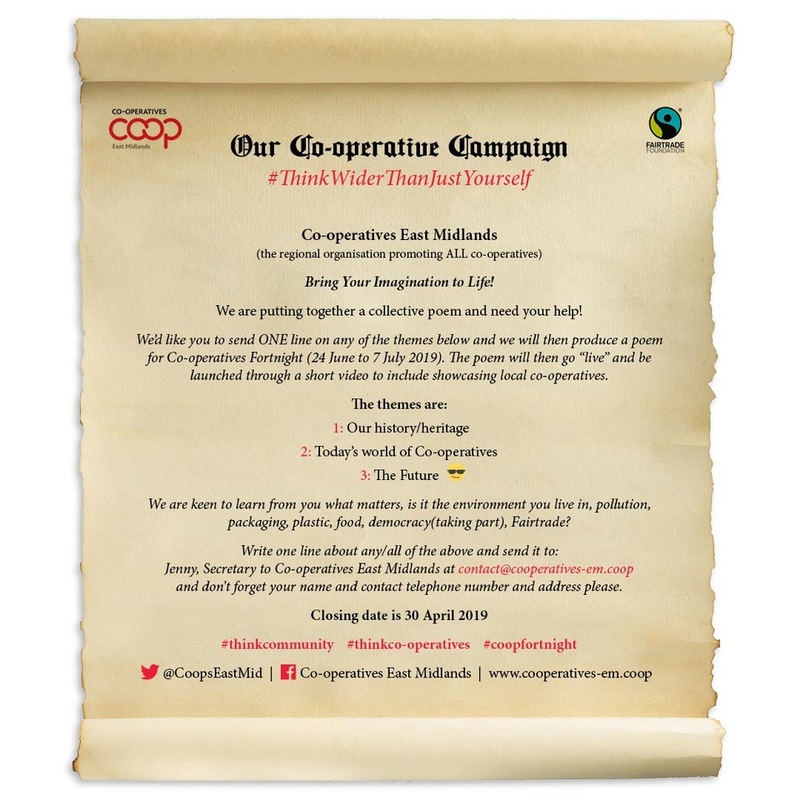 Grateful thanks is acknowledged and expressed from Co-operatives East Midlands to the following: Lincolnshire Co-operative Society, Central England Co-operative Society, the Co-operative Party, CASE. There is terrific overall support from members of Co-operatives East Midlands, who often give their time freely, to ensure its success. We continue to look at innovative ways of working effectively together, with partnerships, and to the mutual benefit of our members. Wishing you all a very happy and successful 2019! Did you know that Co‑operatives UK members can claim 10% discount on annual premiums for a selection of business insurance policies through our partnership with Co‑operative Insurance? Click here for details. We’ve secured a commitment from Government to review society legislation. This is a big win and could affect the majority of our members. If we want co-ops to be a mainstream option for businesses we need the legal tools to be more user friendly. We believe reform to co‑op law should be co‑produced with our members. Show your support and help shape our thinking – complete our quick poll before the closing date of 30 November. We’re also holding a member event on this subject in Manchester on 15 November. Click here to book. Last week we secured a piece of coverage in the Financial Times on why growing numbers of contractors and freelancers are turning to co-ops. The article features Co‑operatives UK members Open Data Services Co‑operative, Cotech, Projekts MCRand CASA Ltd. Practitioners Forum: Last tickets left! 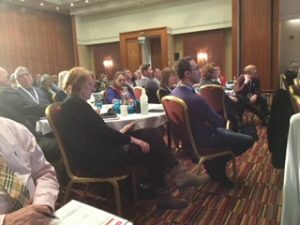 Nearly 200 delegates are joining us for a full day of learning and networking at the nearly sold out Practitioners Forumon Thursday 22 November – don't miss out! Lord Victor Adebowale will give an inspiring keynote speech, followed by tailored sessions on HR, marketing, membership, finance and governance from industry experts. Due to the overwhelming demand, we’re looking for a bigger venue next year! ...and room hire in central Manchester! And that’s not all! If you need meeting space in central Manchester, look no further than Holyoake House – the home of the co‑op movement! 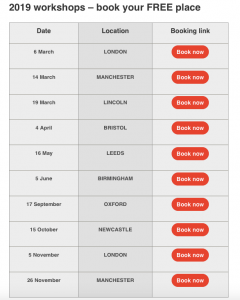 Members of Co‑operatives UK receive 20% discount on meeting room hire. Our friends the Co‑operative College have made the final shortlist for the Royal Bank of Scotland Skills and Opportunities Fund. Their project centres on the community of Pilton, Edinburgh, and focuses on young people. As the only co‑operative approach to make the shortlist, we're asking you to show your support by voting for Co‑op College. We’ve been working closely with Defra and our farming members to make sure that farming co-ops get the best deal on Brexit Day. Over three out of four people (76%) now believe that big business benefits owners at the expense of its workers. At the same time, some businesses retain high levels of consumer trust. 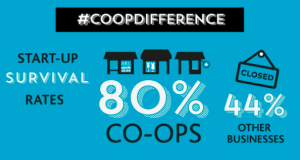 Over six out of ten people (62%) surveyed trust co-operative businesses, such as The Co-op Group or John Lewis, which are owned by their members who all have a say in how the business is run. The YouGov survey, which updates research carried out in the last 40 years, was commissioned by Co-operatives UK, the trade body for co-operatives – a sector worth £36 billion to the UK economy. Ed Mayo, Secretary General of Co-operatives UK, said: "High street closures, falling profits and uncertainty around Brexit makes this an extraordinarily challenging period for British business, but it will be tougher still if the UK has indeed hit a new low in terms of consumer confidence in business." 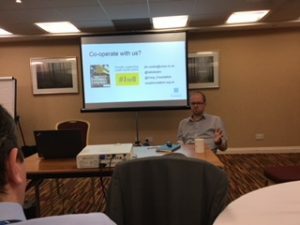 “The co-operative way is to give a voice to those involved in the business and we are seeing an increase in people attracted to this way of working," added Ed Mayo. "Perhaps it is time for UK Plc, before it is too late, to recast its relationship with customers and employees in a more co-operative spirit." 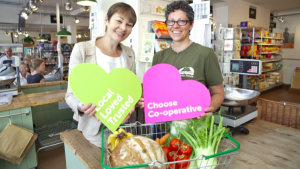 The YouGov survey follows on from last month's Co-op Economy report, published by Co-operatives UK, which revealed that new co-ops are almost twice as likely as start-up companies to survive their first five years. Join us on Twitter and Facebook TODAY to promote co‑ops and the Co‑operative Economy report. 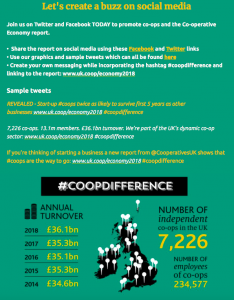 The Co‑operative Economy 2018 report is out and we can reveal that the UK's 7,226 co‑operatives have a combined turnover of £36.1bn - up more than £800 million on 2017 levels. We also have a record number of co-operative members at 13.1 million. One of the report's standout findings is that co‑ops are almost twice as likely as other businesses to survive their first five years! During Co‑operatives Fortnight (23 June-7 July) we now want to spread this report far and wide to show why people need to get behind co‑ops. Jim Cooke, Head of the Foundation - gave an inspiring talk about their work with young people and co-operating together to their economic and social advantage and how grants and funding through the Foundation supports their development. 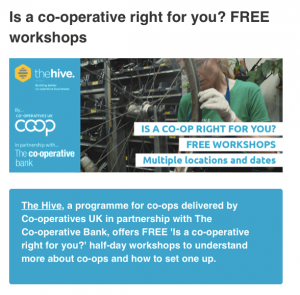 www.coopfoundation.org.uk. Further call for projects later in 2018. Each Regional Council gave an overview of their activity. Sarah Kirkpatrick from Co-operatives East, Tanya Noon from Co-operatives East Midlands and Carl Taylor from Co-operatives West Midlands. Carl is CEO of BCHS, co-operative housing. 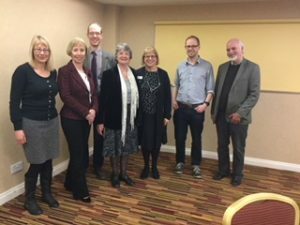 The meeting agreed to build their relationships to work more closely together and also with wider co-operative organisations nationally. A set of outcomes were defined and an action plan was agreed together. 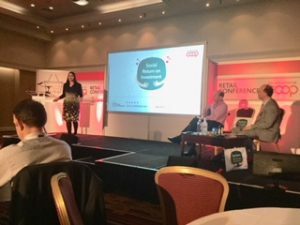 This was followed by the Co-operative Retail Conference weekend event designed to inform members of Societies of recent data and projects relating to the co-operative economy, challenges and the increasing relevance of defining and giving out a clear messaging of the “co-operative difference” on the High Street - Steve Murrells, CEO from the Co-op, talked of greater collaboration within the sector and “marching to the same beat”. Our member, Central England Co-operative Society, profiled their recently awarded project on social impact and return on investment to their communities and members. A video of the project will be made available. To RESERVE a place and to assist with catering arrangements, please advise Jenny de Villiers on jdevilliers@btinternet.com – early booking appreciated! Grateful thanks are expressed to the members of Co-operatives East Midlands for their continued support.